How Does DinDin Party Work? How Does A Host Set Up the DinDin Party? How Do Guests Search for DinDin Party Events? How Does the Host Approve the Guests? What Happens when DinDin Party is Served? What are my obligations after the DinDin Party? Where is DinDin Party available? 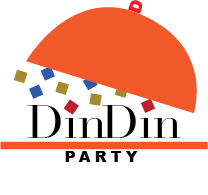 DinDin Party is a new way to meet, dine, interact and have fun! We provide an online platform for hosts who love to cook and entertain to share their passion and earn an income creating unique DinDin Party events. For guests, we offer a wonderful variety of dining and social experiences. Plus an easy way to meet new, interesting people. Why do you require guests from at least two different addresses?